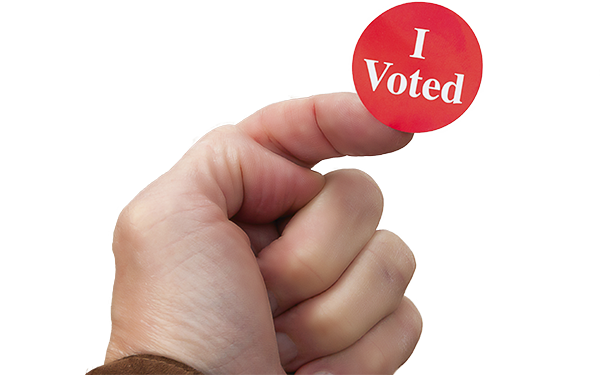 Despite a 24-hour news cycle focusing on the horse race around the 2016 presidential election, there was, in fact, an election on Tuesday — and when voters showed up to the polls in several states, decisions critical to America’s K-12 students loomed. The Seventy Four breaks down the results. Siding with Republican legislators, voters in the nation’s poorest state rejected a citizen-led ballot initiative that would have required lawmakers to “adequately fund” public schools or face lawsuits. They also rejected a legislature-approved alternative initiative, which education funding advocates argued was only included on the ballot to confuse voters. In order for either of the initiatives to pass — effectively amending the state’s constitution — they needed approval from 40 percent of voters. The Clarion-Ledger reported that 54 percent of Mississippians rejected any changes to the state constitution. At the root of the debate was a 1997 law establishing a formula to determine adequate levels of school funding necessary to achieve successful student performance. Since then, state lawmakers have fully funded the formula only twice — shortchanging public schools by about $1.7 billion since 2009. 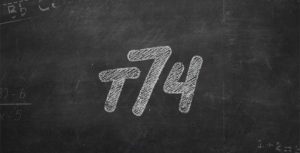 Read The Seventy Four’s earlier coverage on Mississippi’s confusing, controversial, and deceptive ballot war over school funding. Republican businessman Matt Bevin won Kentucky’s gubernatorial election, handily beating Democratic Attorney General Jack Conway. Bevin will replace Democrat Steve Beshear, who could not seek reelection because of term limits. Bevin is staunchly opposed to Common Core, though it is unclear to what extent he will push to repeal it. The election comes at a time when, by some metrics, Kentucky’s education system has made gains: Between 2010 and 2013, the state went from 34th to 10th in Education Week’s Quality Counts annual report. Kentucky has been held up by many Common Core supporters as an example of how to implement the standards successfully, and research suggested the more rigorous standards were leading to achievement gains. Bevin also campaigned on support for school vouchers, while Conway emphasized early childhood education. Three members of the Jefferson County school board were overwhelmingly recalled and the five-person board completely turned over. The race in a large suburban district west of Denver fueled fierce local debate and attracted national headlines after a series of controversial moves from the board’s conservative majority, including attempts to revise history standards to downplay “civil disorder” and “social strife.” Money poured into both sides, including from teachers unions supporting the recall effort and the Koch brothers, who backed the conservative majority. In the end, the three conservative members were recalled and replaced, while two new members — also backed by recall supporters — won regularly scheduled elections. Conservatives in nearby Douglas County — a large, affluent district south of Denver — also suffered a setback after three incumbent school board members lost re-election by wide margins. However, a majority on the seven-member board still supports current policies, including performance pay and school vouchers. In Denver, the reform camp maintained a solid grip over the school board. Three seats were up for election, and ideological lines were sharply drawn. On one side were three candidates who were supported by a group aligned with Democrats For Education Reform and supportive of current district policies, including increases in charters schools, performance pay for teachers, and tough accountability standards. On the other side were three skeptics of current policies backed by the city teachers unions. Of particular controversy was an attempt by the district to increase school integration by changing enrollment zones, which one of the union-backed candidates likened to forced busing. In the end, at least two of the reform candidates won out, with another holding onto a narrow lead in a tight battle for an at-large seat. Regardless of the outcome, candidates supportive of current policies will have a large majority on the seven-person board. Jim Kenney became Philadelphia’s next mayor in a landslide election, easily beating nominal opposition in the form of Republican businesswoman Melissa Murray Bailey. Kenney was backed by the Philadelphia Federation of Teachers and American Federation of Teachers (AFT) during a hotly contested primary. Education activist Helen Gym — who also drew union support and was joined by AFT president Randi Weingarten at her victory party — won a seat on the City Council. Philadelphia faces sharp divides over the expansion of charter schools, as the state faces a budget crisis. Two months after Houston Independent School District Superintendent Terry Grier announced his resignation, the city’s school board incumbents are struggling to hold onto their seats. Grier’s administration thrust the country’s eighth-largest school district into the national limelight over the last several years — as he implemented a slew of reforms including a performance-based evaluation and bonus program for teachers but increasingly faced pushback from the teachers union and activists at board meetings. Tuesday’s election, in which four of nine seats were up, was in some ways seen as a referendum on Grier’s tenure. Two of those races produced clear-cut winners while the other two will be decided in a Dec. 12 runoff election. Incumbent Juliet Stipeche, a Grier critic who was endorsed by the Houston Federation of Teachers, was defeated by Diana Davila, a former board trustee who hired Grier but also recently rallied against him. Two other candidates endorsed by the teachers union — Jolanda Jones and current school board President Rhonda Skillern-Jones — fared reasonably well. Meanwhile, current school board trustee and Grier supporter Manuel Rodriguez was forced into a runoff with Jose Leal, a charter school assistant principal. The new board will be tasked with picking a new superintendent to replace Grier when he leaves in March.